New research shows the amount of ivory that can be sustainably harvested from elephants is a lot lower than the market demand. 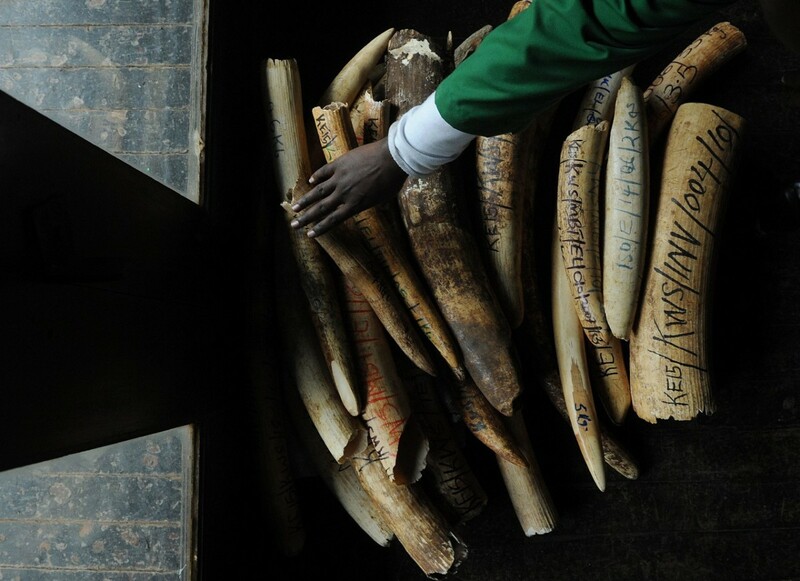 A staff member of the Kenya Wildlife Services does the inventory of illegal elephant ivory stockpiles. Earlier this year, a continent-wide elephant census discovered a 30 percent decline in African savannah elephants between 2007 and 2014. Researchers expect the population to continue to shrink 8 percent each year, much of that due to poaching. As lawmakers try to find a solution to the poaching, the debatecontinues on whether the current ban on ivory trading should be lifted or kept in place. 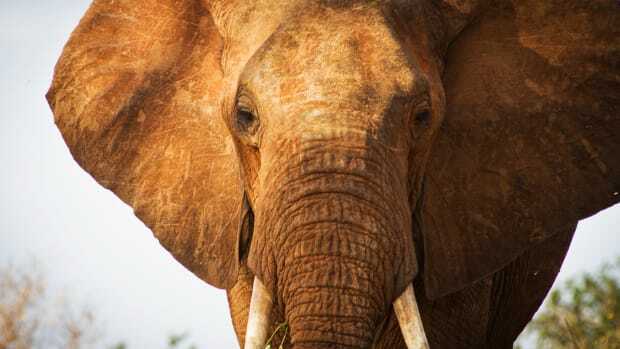 In 1989, the Convention on International Trade in Endangered Species of Wild Fauna and Flora (CITES) placed the African elephant on Appendix I, a list of animals most at-risk for extinction. CITES prohibits international trade of animals in Appendix I—that includes the trade of ivory tusks. However, in 1999 and 2008, CITES allowed one-off sales of stockpiled ivory to try to quell the ever-growing demand of ivory, to no avail. Lifting the ban for a legal ivory trade and moving the elephants to Appendix II — which allows for trade under strict conditions — would cease illegal activity, proponents argue. They say it would also allow CITES to regulate and define sustainable harvest quotas. Recently published research in Current Biology, however,shows that the solution to elephant poaching is not that simple: It is near impossible, or at least would be extremely challenging, to harvest ivory from elephants sustainably. The lead researchers of the study, David Lusseau of the University of Aberdeen and Phyllis C. Lee of the University of Stirling, came to this conclusion after running thousands of sample elephant populations through different simulations to determine the greatest amount of ivory we can take from a population without affecting the population growth. As expected, it’s not a large number: the equivalent of “one big male [per year],” Lusseau says. In a reference population of 1,360 elephants, that amounts to about 100 to 150 kilograms of ivory, or 220 to 330 pounds. 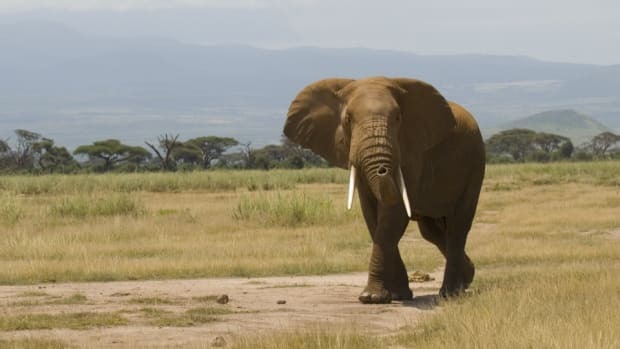 To put that in perspective, Lusseau and Phyllis say that roughly 210tons of ivory are poached per year from an estimated population of 700,000 elephants. That converts to about 410 kilograms of illegally harvestedivory in their reference population, almost triple the amount that can be sustainably harvested. On top of that, Lusseau says there’s very little wiggle room to try and increase the amount of ivory that can be sustainably harvested. 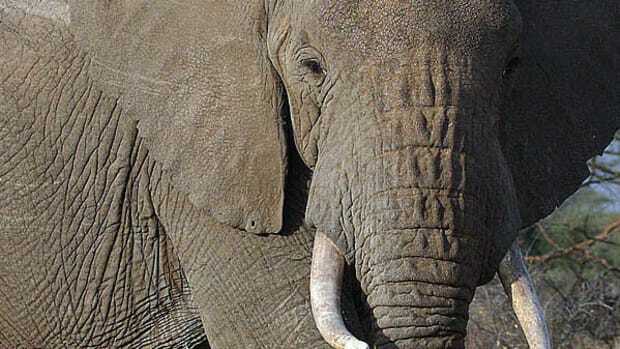 Unlike other wildlife populations such as fish, which can recover from a bit of overexploitation, elephants don’t have such a generous margin of error; taking a little more ivory (and killing a fewmore elephants) can quickly lead to a population collapse—or “a vortex to extinction,” as Lusseau puts it. It’s a sort of wildlife Catch-22, according to Lusseau. Say we actually try to implement and control the trade of ivory with a yearly quota, “that’s going to jack up the prices of ivory which is going to create an even greater incentive to flood ivory on the illegal market,” he says. And so, illegal poaching would continue under the legal trade — potentially leading to the extinction of the elephant. Because the current situation isn’t working either, Lusseau proposes that we move away from accommodating our needs over the elephants’, and instead focus on the people buying ivory. 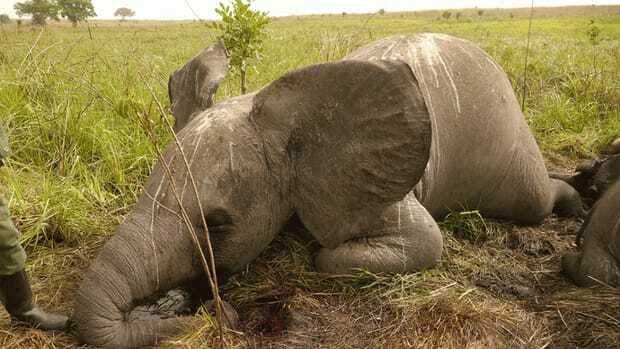 Elephant poaching is costing African economies millions in missed tourism revenue. The U.S. 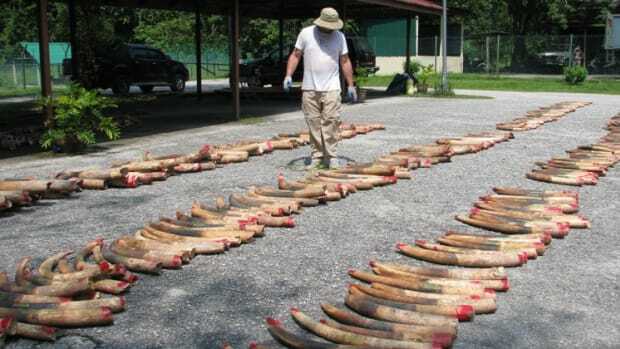 Fish and Wildlife Service says destroying ivory can reduce supply and demand at same time. 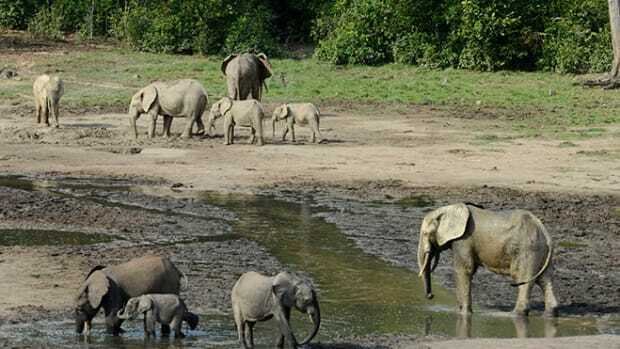 Populations of Africa’s forest and savannah elephants continue to decline precipitously, leading conservationists to call for more extreme measures. You'll need two Ph.D.s and a J.D. to buy ivory legally in the United States. So don’t even try it.